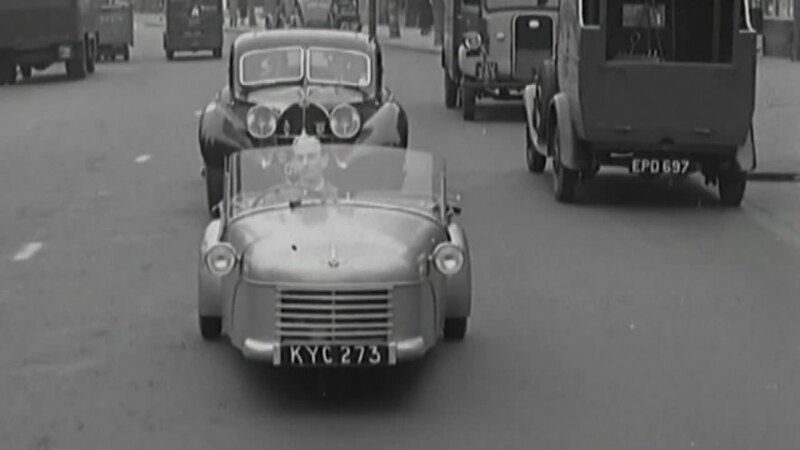 IMCDb.org: 1949 Bond Minicar Mark A in "James May's Cars of the People, 2014-2016"
I guess the Type 57 Bugatti is worth a page of its own?? Along with the Fordson truck?? The driver in the vehicle is actually Lawrie Bond, the original designer (before he sold the design to Sharp's Commercials in Preston). The vehicle shown was the subject of a road test in Motor Cycling magazine, 3rd March 1949 and Lawrie Bond was personally delivering the vehcile from Preston to the new owner in London.